By Idowu John Bakare – Rotary has announced nearly US$100 million in grants to support the global effort to end polio, a vaccine-preventable disease that once paralyzed hundreds of thousands of children each year. The announcement came Tuesday as Nigeria marks two years without any reported cases of wild poliovirus, following four reported cases in 2016. “Nigeria has prevented further cases of wild poliovirus thanks to the improved surveillance and rapid response protocols Rotary and its Global Polio Eradication Initiative partners have supported, particularly in Borno,” Chair of Rotary’s Nigeria PolioPlus Committee, Tunji Funsho said in a statement distributed by APO Group. “We must remain vigilant about maintaining political and financial support to ensure strengthened immunization practices as we redouble our efforts toward ending polio in Nigeria and around the globe,” Dr. Funsho further said. 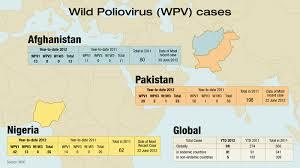 Also speaking on progress made by Nigeria,” Chair of Rotary’s Pakistan PolioPlus Committee, said Aziz Memon noted that, “Nigeria’s progress proves that halting the spread of wild poliovirus is possible. “Although we currently have a record low number of reported cases of polio in Pakistan, we must remain vigilant about implementing the rapid response and surveillance protocols Rotary and its Global Polio Eradication Initiative partners have established and focus on accelerating our efforts toward eradicating polio,” Mr. Memon added. Rotary is allocating a large chunk of the funds to support polio eradication efforts in countries where polio remains endemic: Afghanistan ($22.9 million), Pakistan ($21.7 million), and Nigeria ($16.1 million). In 1988, Rotary became a core partner in the Global Polio Eradication Initiative with the WHO, UNICEF, and the U.S. Centers for Disease Control and Prevention. The Gates Foundation later joined. Since the initiative launched, the incidence of polio has plummeted by more than 99.9 percent, from about 350,000 cases in 1988 to 22 confirmed in 2017.